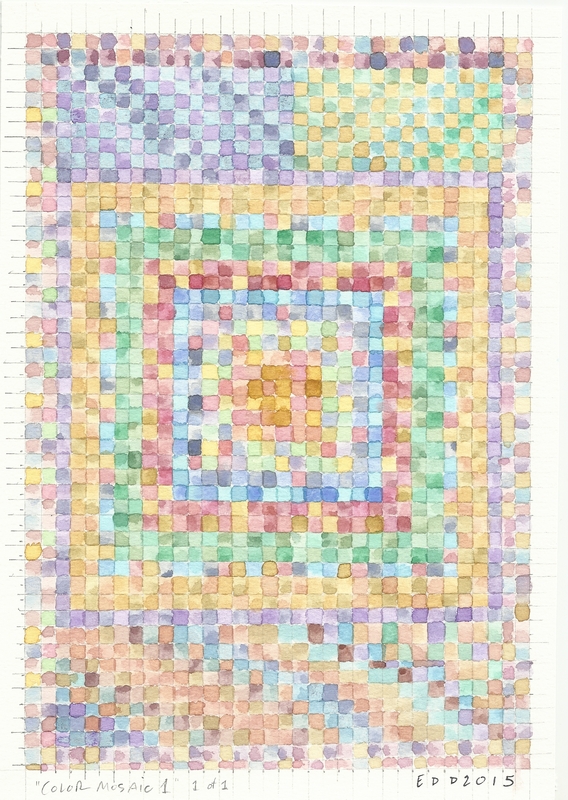 My homage to Paul Klee’s, “Portal of a Mosque” (1931). Klee is one of my strongest art influencers. I love his work and find it greatly inspires my own work. (watercolor on cold-pressed paper, painting completed on 8/25/2015). Really beautiful work here. Really enjoyed it. Laura, you consistent support & encouragement is greatly appreciated! I’m really happy to hear that! I really enjoy your work, and I’ve been venturing more into the world of abstraction myself. Have you always worked in abstract? What do you enjoy most about it? I’m wondering if abstract realism is really where I belong. I noticed you’re dabbling a bit in some abstract work on your site. I started out struggling hard to paint realistic scenes (if you go way back to the earliest months of my blog in 2013 you’ll see some of my first works. I started painting in 2013. Hadn’t touched a brush since 6th grade, lol!). Abstract just fits me. I am not a realist painter. I’ve tried and there is next to no passion in it for me. But abstract, non-representational/geometric work ignites my senses, my passion, and my creativity. I just find it connects so well to what I’m feeling emotionally, whereas realistic work doesn’t always do that. I still enjoy it, but it feels less like a real expression. I’m going to go back and take a look at your earlier paintings. I wholeheartedly agree! I had to learn to accept that I wasn’t going to be a realistic painter but once I did I felt liberated. I’d also like to ask you another question, if you don’t mind. How large is this piece, and what is the approximate size of each square? This looks amazing but I bet it wasn’t easy to do. I have about 15 hours in this piece. The piece is approx. 6.5″ wide by 9.5″ long. I tend to do smaller pieces because when I got started that is what I could afford :)! Each little square is approx. 1/4″ by 1/4″. Wow, that is small (the squares)! Amazing detail in a piece that size. And in watercolor. Woo. Not easy. Great job!